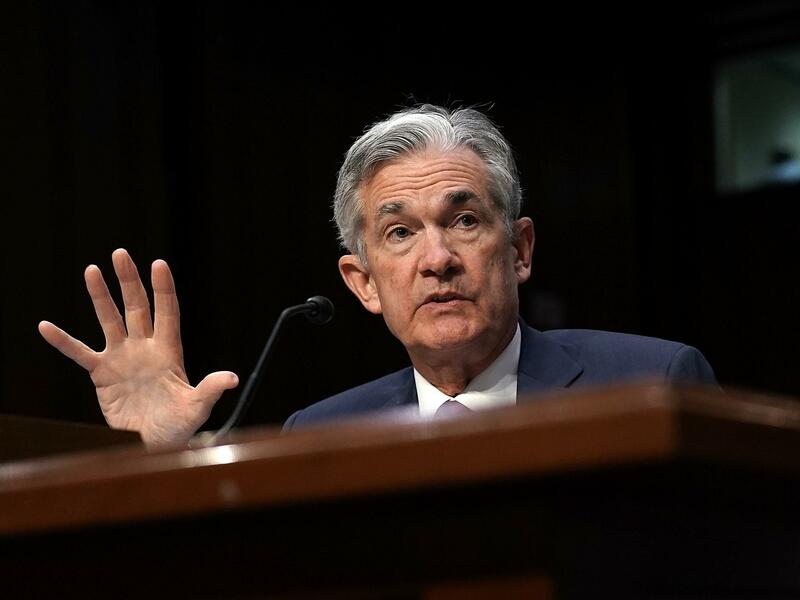 Led by Chairman Jerome Powell, the Federal Reserve held steady with no rate increase, but it is expected to raise rates twice more by the end of the year. In a statement after its two-day policy meeting, the Fed said "the labor market has continued to strengthen and that economic activity has been rising at a strong rate." The Fed stuck to its target for the federal funds rate in a range between 1.75 percent and 2 percent. This was the central bank's first meeting on rates and the economy since President Trump broke with longstanding tradition and criticized the Fed for raising rates. The Fed's independence from politics has been viewed as sacrosanct in recent history. There is a longstanding belief that financial markets need to trust that the most powerful central bank in the world is acting in the best interests of the U.S. economy — not responding to political pressure. But reporters didn't get a chance to ask Fed Chairman Jerome Powell about that since there was no press conference scheduled following this meeting. The Fed usually times interest-rate changes to news conferences, which allow the Fed chief to explain policymakers' decisions. Powell has said that, starting next year, every meeting of the Federal Open Market Committee will be followed by a press conference. That's a move most analysts welcome since it will give them more insight into the Fed's take on the economy. This week's Fed meeting was the first since the Commerce Department's report showing the economy grew at a 4.1 percent pace in the second quarter — the strongest in nearly four years. Trump called the numbers "very sustainable," but many economists don't expect growth to remain that strong. The Fed is in the midst of a multiyear journey to get interest rates back up to more normal levels. It had kept rates extremely low to boost the economy in the wake of the Great Recession. Fed officials haven't wanted to raise rates too quickly for fear that that might hurt a sluggish, fragile recovery. But with the economy in relatively strong shape, the Fed has been moving methodically, and with plenty of notice to markets, to raise rates back toward what it considers a more "neutral" stance — one that's not stimulating or slowing the economy. Some critics of the Fed say it's moving too quickly to raise rates and should wait until workers see stronger gains in wages. But critics on the other side of the argument say it has risked sparking inflation by moving too slowly and keeping the stimulus of low rates in place for too long already. Fed officials, of course, think the central bank is charting the right course to balance those risks. The Fed also wants to get rates higher to give itself room to cut them again whenever the next recession comes along. Many analysts say the Fed is expected to raise interest rates at its next meeting in late September.